Due to an overstock, I've decided to offer the Resistance Fighter Accessory sprues Weapons 1 and Gasmask Heads as BUY ONE GET ONE FREE! 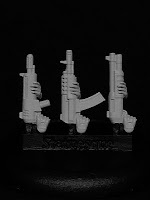 So if you purchase 1 sprue, you will receive 2; purchase 2 and receive 4, and so on. Now is the time to arm your Resistance Fighters! 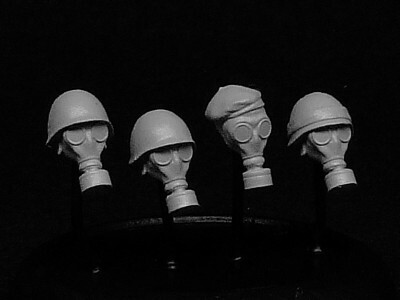 Don't forget, with a bit of conversion the Gasmask Heads may be suitable for some of your male figures; they need protection too! 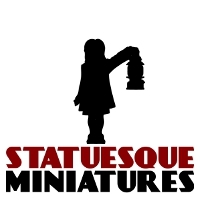 Visit the Online Shop to get your bits and pieces! In other news, I've just paid the printer for the next releases (ouch!). There was a bit of a delay as they forgot to send me the quote, so things have slid back about a week. Hopefully I will still get the next releases on sale early February. Progress on the following release and the initial work on the Faceless Oppressors is also going well. 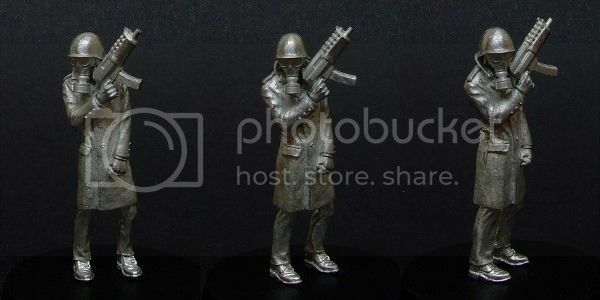 The Cell Officer Weapon Option sprue has really opened up the choice of poses I can make, while still allowing the same level of weapon choices as the regular Resistance Fighters. I'm really proud of how the range is coming together!